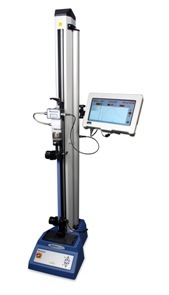 We have just launched new longer-length test stands for improved determination of break strength and elongation when testing rubber and film samples. The extended stands are constructed using a rigid aluminium base-casting and precision ballscrew, making them ideal for elongation testing up to 1200mm of highly elastic material such as rubber and film. To accommodate the extra length and to comply with the EU Topple Test, these long stands are fitted with stability bases made of steel. The new 1kN and 0.5kN models are available with software and electronics from Mecmesin’s established range of MultiTest-d, MultiTest-xt and MultiTest-i tension and compression test frames. The extended stands are now in full production with the first machine being supplied to a large manufacturer in Australia to enable improved testing of female hygiene products. Our MD, John Page, says: "Quality Control Managers in the plastics and rubber industries will now find it much easier to test their samples and the results will be more representative of the materials benig tested which will significiantly improve their production process." Our new video offers step-by-step instruction on how to use the MultiTest-xt touch-screen top-load tester. 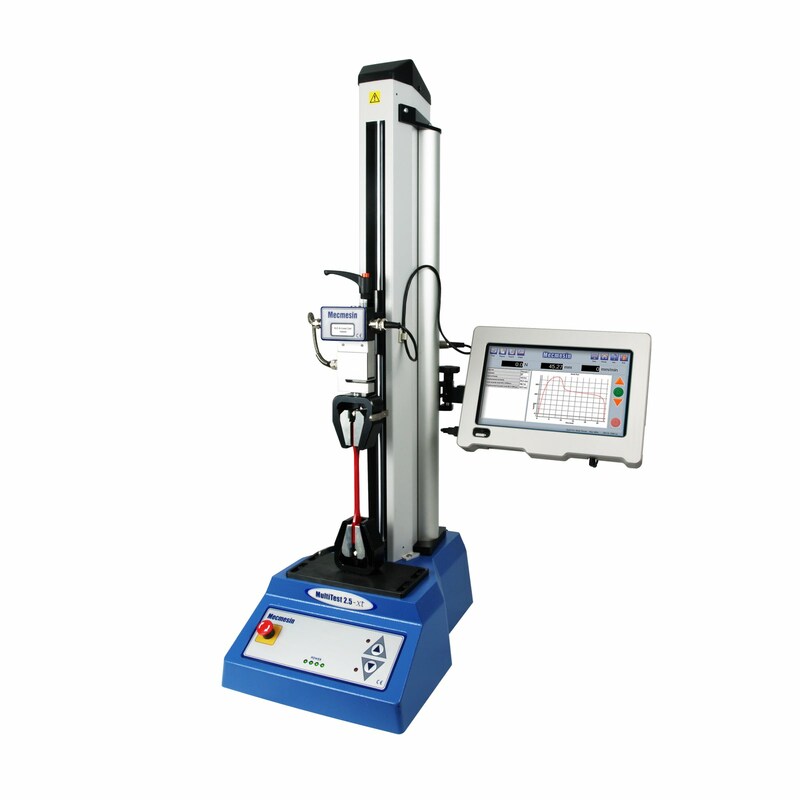 It shows just how easy it is to carry out top-load tests on bottles with this new testing system from Mecmesin. Top-load testing’s important because during filling, capping and stacking, containers can be subjected to considerable vertical loading which causes loss of strength and eventual collapse. The video shows how simple it is to load a bottle and clamp it into place. An icon is then selected on the touch-screen, the test method is chosen and one button launches the test. The touch-screen displays an easy-to-read overall “pass” or “fail” result. The results or raw data can then be exported directly to Microsoft Excel. There’s a vented compression plate which allows air to escape during compression and bottle height can be measured at the same time. A batch of ten bottles can be tested in about two minutes. Catch up with Mecmesin at the Composites Show. We will be demonstrating our latest money-saving testing systems at the Composites Engineering Show which runs from the 9th – 10th of November 2011 at the NEC in Birmingham. Our new Vortex-xt and MultiTest-xt can be seen at stand 949. Both testing systems really do improve productivity and achieve lean manufacturing goals. With the Vortex-xt, static and rotary torque tests are performed at the push of a button and its stand-alone system means that no PC is required, making it ideal for production areas. It’s easy to programme and simple-to-use, so there’s minimal operator training. 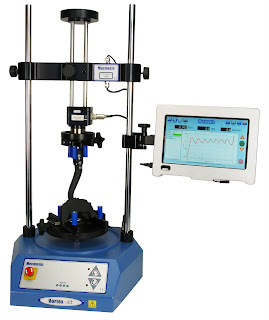 It is the perfect solution for engineers in the aerospace, automotive and medical device industries who need to measure clockwise and counter-clockwise torque when developing and manufacturing rotary components. Typical applications include positive “click “ on engagement of aerospace, automotive and medical device controls such as ignition switches, valves and automotive stalks. The new MultiTest-xt makes force testing simple. It enables tension and compression tests to be carried out quickly and easily at the touch of a button on samples straight from the production line. Designed for those in busy production environments who want an easy-to-use test system, without the need for a PC or complex software, the MultiTest-xt is a stand-alone system encapsulating all the elements needed to perform quality control assessments in a robust self-contained unit. Our product range is versatile and our universal test machines combined with dedicated grips and fixtures can be used to solve a variety of specific test applications including; adhesion/peel, coefficient of friction, compression, flexure, tension and torsion. If you’re passing our stand, please come and have a look at our new testing systems.